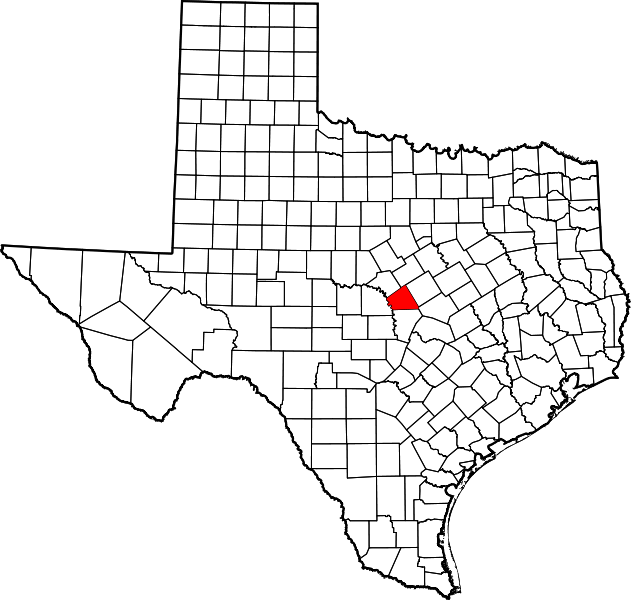 "The majority of Lampasas County is drained by the Lampasas River, which runs north to south in the eastern portion of the county. The remainder of the county is drained by the Colorado River, which forms the county's western border. "For centuries various Indians hunted in the area, attracted by the large herds of buffalo, the plentiful streams, and the various mineral springs on Burleson and Sulphur creeks, which were noted for their healing properties. 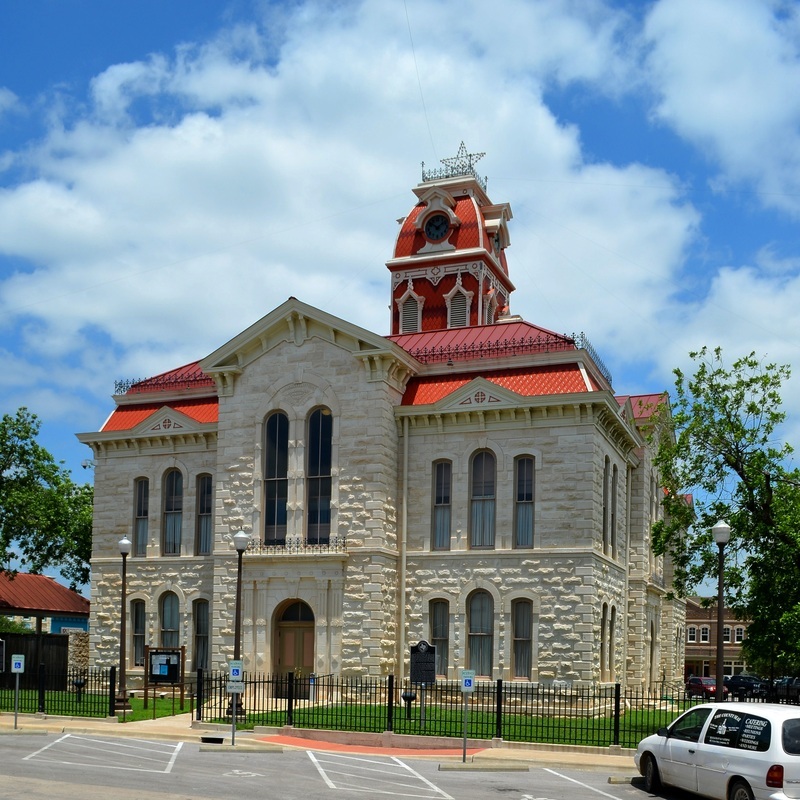 "Settlers were drawn to the area after Moses Hughes and his invalid wife, Hannah (Berry), moved near the site of what is now Lampasas in November 1853, seeking to take advantage of the medicinal springs. 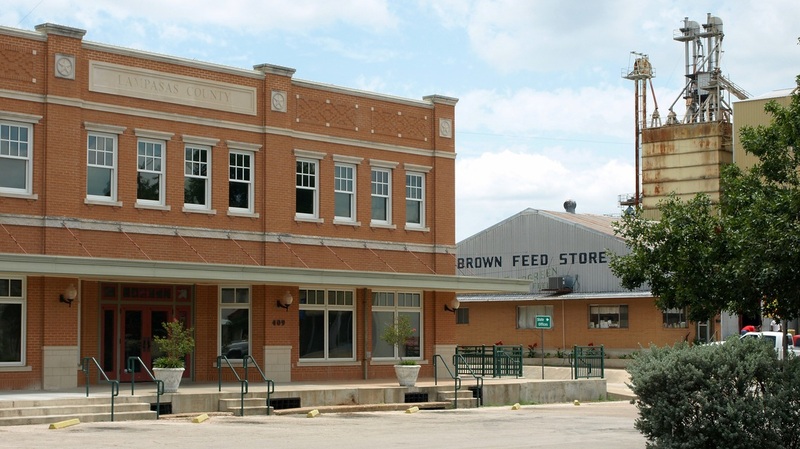 "In July 1855 his [John Burleson's] daughter Elizabeth and her husband, George W. Scott, laid out the town of Burleson in what was then Coryell County. 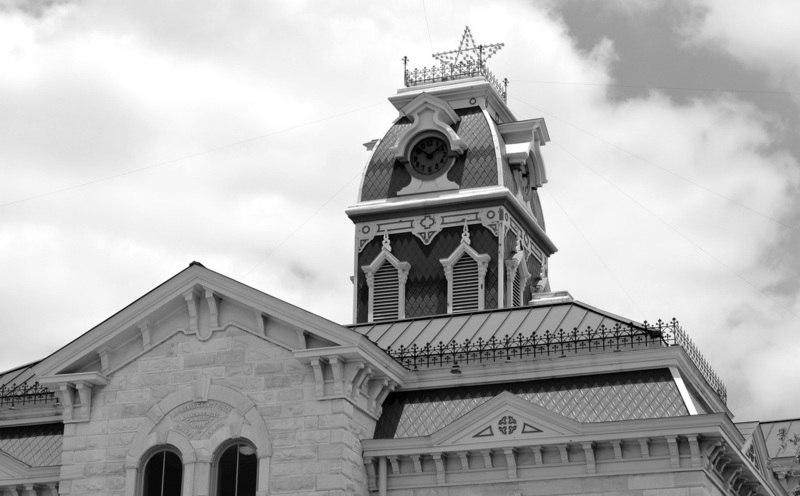 "On February 1, 1856, in response to a petition signed by 135 Lampasas County citizens, the Sixth Texas Legislature formed Lampasas County, named after the Lampasas River, from parts of Travis, Bell, and Coryell counties. 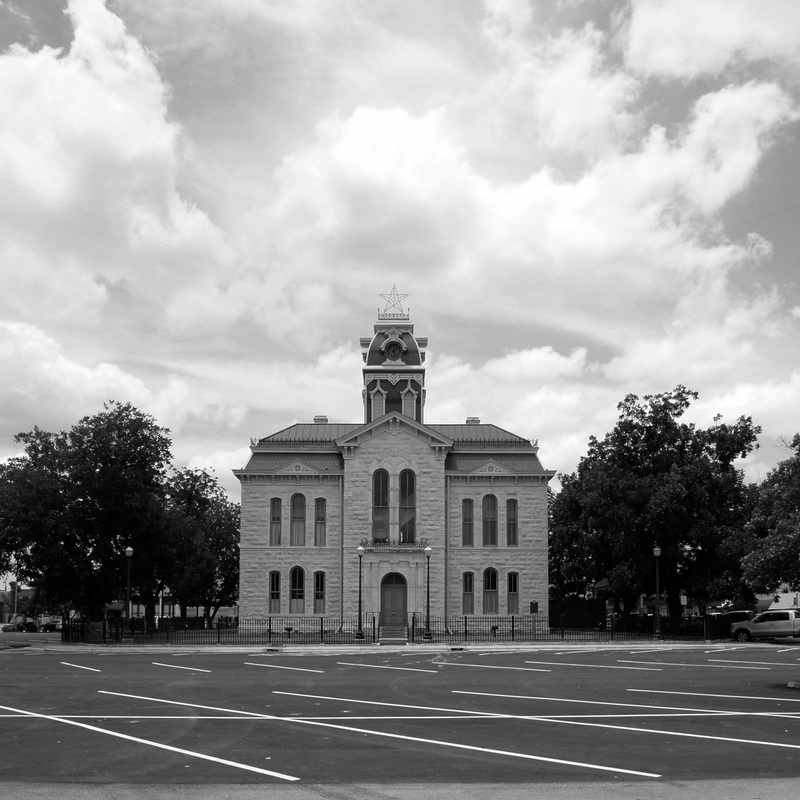 Burleson, renamed Lampasas, was made the county seat, and the new county was organized on March 10, 1856." 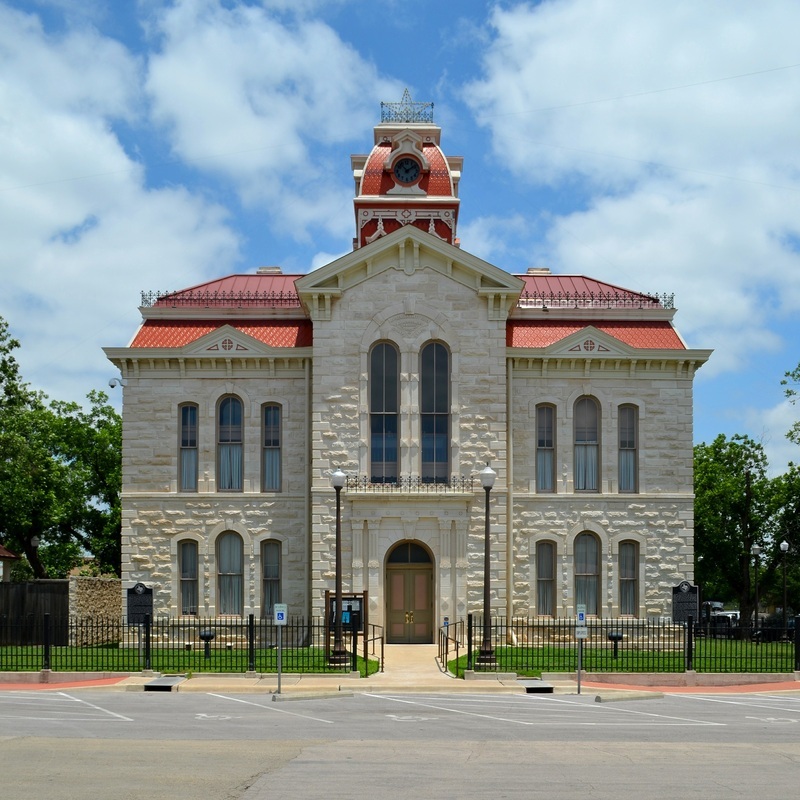 I visited Lampasas County and photographed the courthouse on July 4, 2010 and on May 31, 2013. 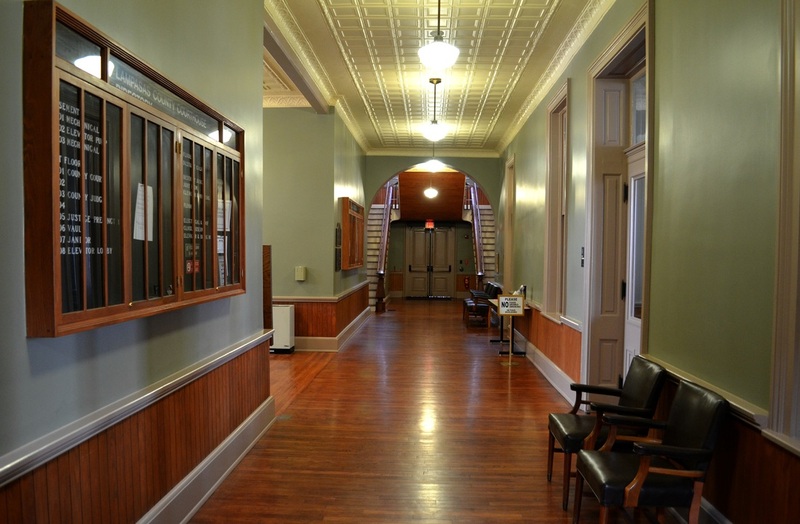 The courthouse was restored in 2003 and re-dedicated on March 2, 2004. 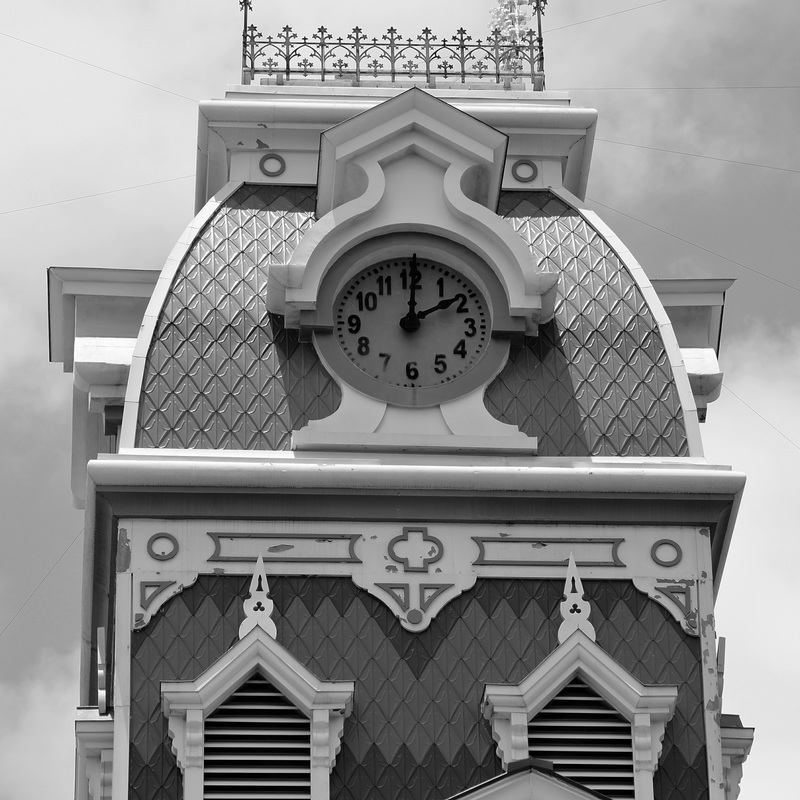 "The building survived several natural disasters over the years, but poorly engineered repairs after these events eventually compromised both foundation and roof integrity. 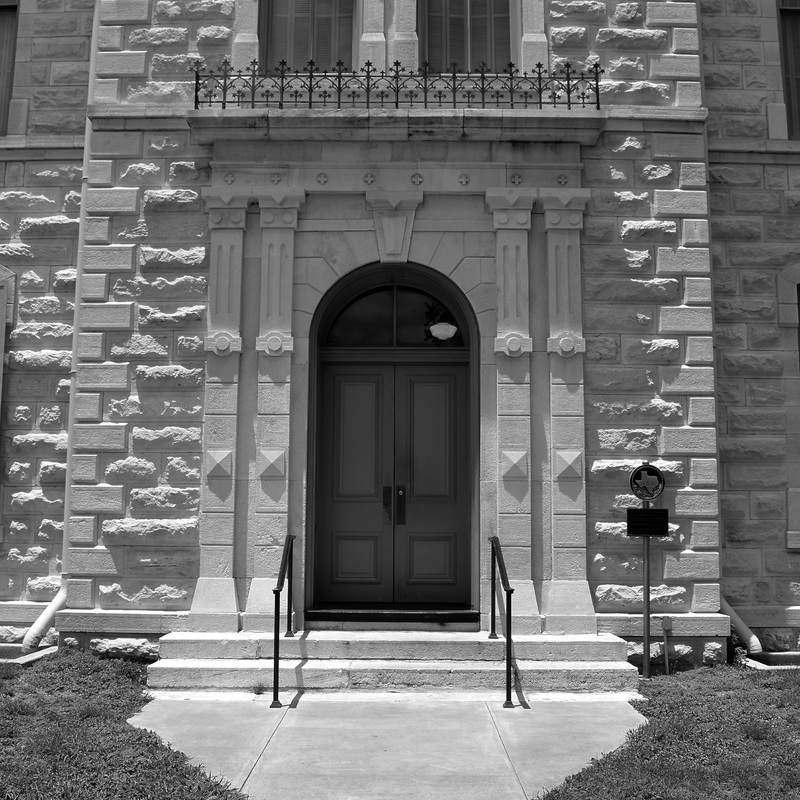 The courthouse also suffered from failing utility and mechanical systems. 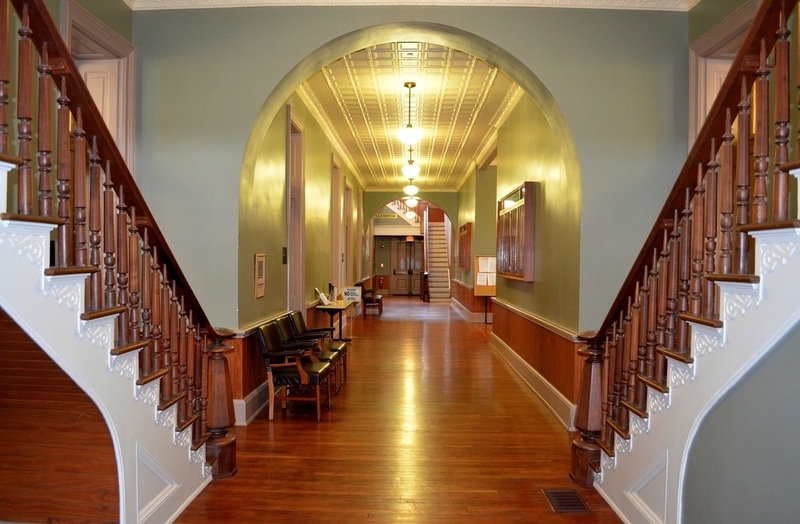 The grant project reversed and replaced inappropriate interior alterations, restored or replaced windows, replaced faulty and outdated systems, and provided for ADA modifications." 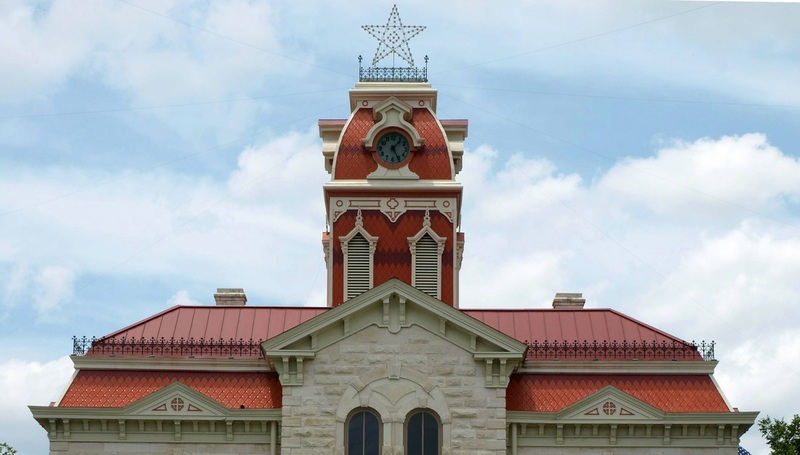 The restoration was designed by Komatsu Architecture of Fort Worth. 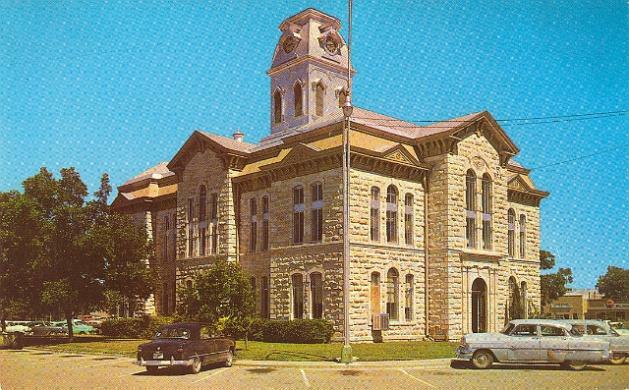 "The Lampasas County Courthouse is a Second Empire style, limestone structure designed by the architect, W. C. Dodson. The moderate-size building has an overall rectangular shape with identical five-bay compositions on the northwest and southeast facades and similar three-bay compositions on the northeast and southwest facades. 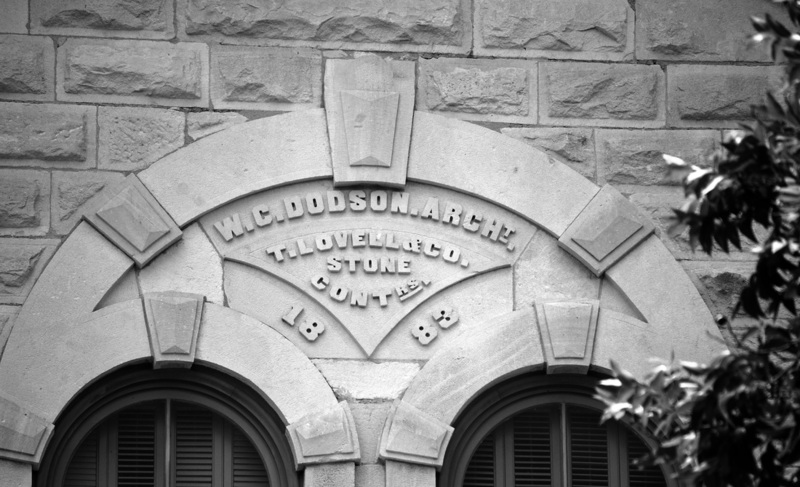 smooth-faced ashlar used in the quoins, belt course, jambs and window lintels and the entrance portico." 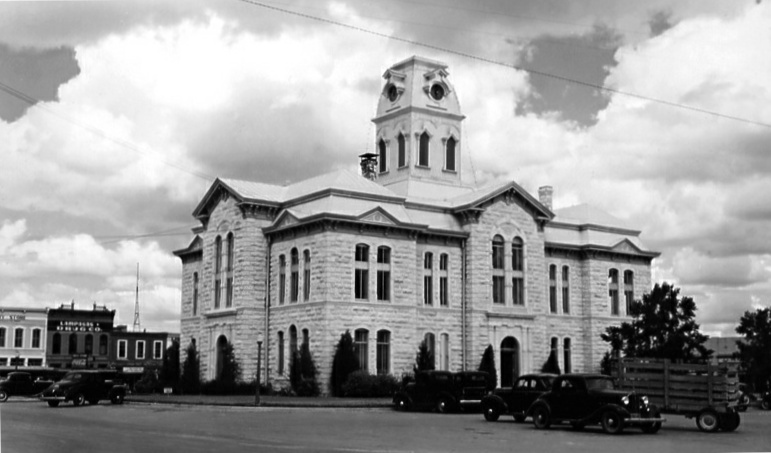 Photo, circa 1939, courtesy TXDOT. 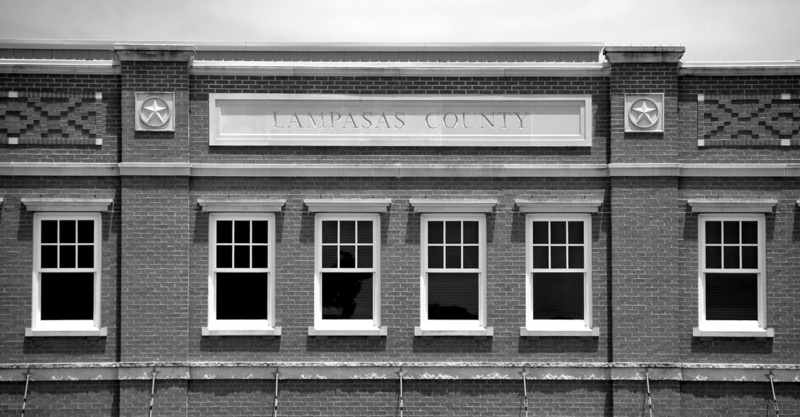 Lampasas County offices across the square from the courthouse.